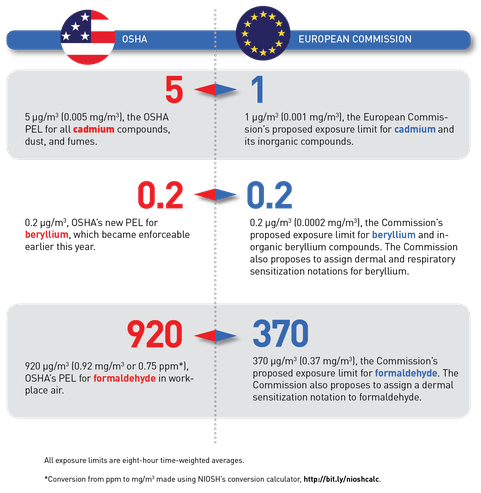 In April 2018, the European Commission proposed new workplace exposure limits for five cancer-causing chemicals, in addition to the 21 substances that have already been limited or proposed to be limited. These include cadmium, beryllium, and formaldehyde. When setting new limit values, the Commission seeks scientific advice from the European Chemicals Agency and consults with the Advisory Committee on Safety and Health at Work, which is tasked with assisting the Commission in the preparation, implementation, and evaluation of activities in the fields of safety and health at work. Sy-Klone International offers the most current and effective cab filtration products available worldwide. To learn more about how the RESPA® Cab and Enclosure Air Quality Products can help you meet the current government regulations, click here.